We are the leading professional removals Wembley Park based company you can count on for projects of both domestic and commercial nature. With a huge fleet of clean and one hundred percent safe vans and all the necessary skills, equipment and experience, our movers in Wembley Park guarantee that regardless of the scale and complexity of the job you have for them, they will ensure your comfort and peace of mind throughout the whole process. Call us today on the phone numbers that are provided here, or directly come by our office. Our licensed technicians (who can practice their profession throughout the territory of the UK) have successfully completed numerous local removals in Wembley Park – and they are ready to face the challenge you have for them. The first step would be to discuss your removal at length and come up with those solutions that are going to prove most efficient to every single one of them. Then those solutions will be incorporated in an individual plan tailored specifically for you. The key concept is that you will not have to worry about a single thing – we will take care of your domestic or commercial relocation for you. 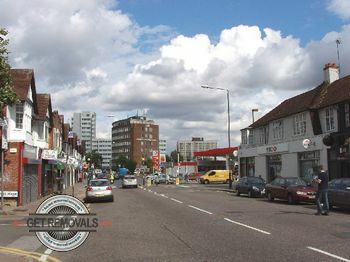 A comprehensive and exhaustive list of removal services covering Wembley Park and all the surrounding areas. 24/7 customer support available throughout call center coordination. Our experts will provide you with all the information you need. State of the art specialized tools and equipment and vehicles, as well as very efficient methods employed for tackling your project. Custom pricing system that would provide you with very satisfactory price, fitting your budget. All that you need to do is get in touch with us at any time of the day and night for requesting a free no obligation removal quote for your project and booking our services. We would be more than happy to be at your service. Our services are available in the comparatively small part of the district of Wembley known as Wembley Park. It is included in the HA9 postcode area and is considered to be one of the finest residential places in these parts of London. Wembley Park is also one of the most popular places in Wembley as a whole, due to the fact that some of the most iconic landmarks here are located namely in the ward. These are of course the famous Wembley Stadium, which is the second largest stadium in Europe and is used by England’s national football team, and Wembley Arena, the concert venue which can boast of holding performances by such notable artists as the Grateful Dead, The Rolling Stones, Pink Floyd, Simply Red, Status Quo, Electric Light Orchestra, George Michael, The Cure, Christina Aguilera, Pink, Bob Dylan and many more. Wembley Park is definitely the place for you if you want to set up your home in an interesting and vibrant area.